We’ve used our best manners to entice some of Australia’s foremost experts to share some of the tricks they have up their sleeves. The Trick’s aim is to embolden women, inform lives with intelligent content and/or just allow you to get outside of your own head for a while. 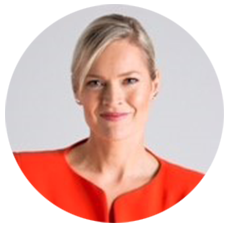 Meg Thompson is a qualified nutritionist, naturopath, wife to Matt and mum of two blossoms, Ivy and Mae. She is one of the many gems I’ve been lucky to meet through Engaging Women and it really wouldn’t have been fair not to share her insights with you. In this video she explores Intuitive Eating to access our best health, the importance of eating seasonally and shares her day on a plate. Subscribe to Engaging Women to learn Meg’s number one ‘trick’ when it comes to her family’s health and wellbeing. We’ll soon hear from the host of UN Women International Women’s Day breakfast and TED talk extraordinaire Tracey Spicer. Connect or contact Meg Thompson over here. Sign up to receive the next video in the series here. Thanks to film maker Paul Muir for his patience and his corny jokes! Posted in Self care, Video. Tagged in Australian nutritionists, australian video interviews, nutrition, self-care, video content.